The ZYTO scan was very helpful in assessing several major areas of my health. Dr John was amazing in explaining the potential issues and solutions. He spent a lot of time with me and there was no pressure and no upselling. I was very pleased and very confident in what I was hearing. I will return for chiropractic treatment. ~Kathy McC. On my first visit I was impressed by the fact that the practioner was patient, knowedgeable, and took all the time necessary to get me on the right track to a healthy back again. Thank you to all staff members who I can say the same for! ~Robert R.
The level of care and expertise I received far exceeded the level of care and expertise I receive from my chiropractor at home. I learned so much I didn’t know. The fact that he took his time with me and treated me thoroughly (knowing that I was there on vacation) spoke volumes. ~Joy G.
Dr. Jeff was very kind and caring. ~Mitchell L.
Very caring and an overall pleasant experience. ~Ken S.
Staff and doctor are great. Truly are a bunch of wonderful people that really take care of patients. ~Michael S.
Very pleased. Everything finally made sense. I received more quality information in that hour then I received in the last ten months of seeing surgeons. Thank you! ~Robert S.
I have been working on a life change and I think I have found the right place to continue that change. ~Mary G.
My husband Bobby and I are experiencing less pain with every visit. First time in life we look forward to a medical visit. Thank you so much. ~Doris U. Staff was very courteous and helpful. ~Charles M.
So far so good! Dr. Jeff you make coming to see you a fun and comfortable experience.~Diane D.
I have to admit, I wasn’t sold on chiropractic care before my first visit. But, the professionalism of the staff, receptionist to doctor was extraordinary. The extra time spent by the doctor explaining my situation and a long term solution to my condition and ways to preemptively fight future re-occurrences sold me on the program. The full body wellness philosophy, from conditioning to diet is exactly the solution I needed. Thank you! ~Danny F.
Dr. John was very informative and helpful with my back issue. Being a new patient he was thorough with the examination and treatment. He made it easy to feel confident in his expertise. ~Bob C.
From the moment I picked up the phone to make an appointment to the check out process after my first appointment I felt very comfortable. Staff is extremely friendly and helpful. I look forward to a long time relationship with Waccamaw Chiropractic and Wellness. Thank you Dr. Jeff and Dr. John. 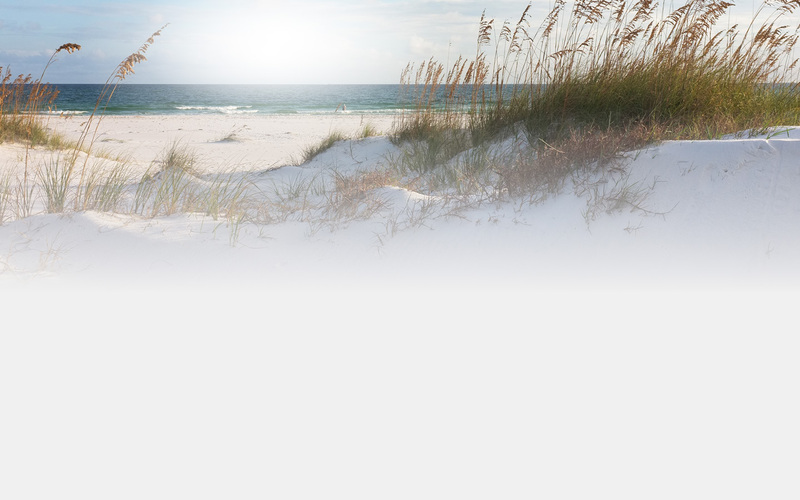 ~Daneen F.
I am referring your practice to others in the Grand Strand area. I will continue to seek your knowledge and experience to help promote and maintain wellness. ~David B.
I was impressed with the thorough explanation of my issues and the recommended therapy. I feel like Dr. John treats the whole person and not just the back. I’m excited to work with him. Alyssa and Donna are professional and so down to earth. They make you feel welcomed into the office. Both doctors are great. Dr. Jeff made it clear that he cannot heal me, I have to do the work as well. He told me things I have never been told before about migraines and my condition. I am so confident that my headaches will get so much better. Thank you! ~Deborah H.
After spending nearly 3 hours being evaluated I knew I was in a special healing place. It is rare that a doctor gives of his or her time so freely. I loved how comprehensive the visit was. Not only did the doctor care about the physical structure of my body, he also cared about my mental and spiritual state as in his words they are the root of the cause. Thank you for attending to my needs with patience, care, and attention. ~Nathalie H.
“I have been seeing Dr. John Evans and LMT, Heather Reese for almost one year. I can honestly say that I have never been as satisfied with a medical/reception staff as I have with this staff. Dr. John Evans is not only a knowledgeable practitioner, but he is open to all types of alternative and traditional methods of treatment. He is also compassionate, caring and attentive. Dr. Evans will not give an adjustment when one is not needed. He will also recommend you to a specialist if he feels that the problem is beyond chiropractic treatment. You can fully trust the doctors in this practice to do the right thing. Heather has been treating me with medical massage for almost a year. She is not only very experienced, but she is kind, gentle and compassionate. She consults with the doctors on the patient’s condition always before giving a massage and speaks to the patient about specific issues from visit to visit. I would never go to another massage therapist as Heather knows me very well now and knows how to treat me.Although, I have not been treated by Dr. Jeff Evans, I have had many conversations with him about my condition and would trust him to work on me in a heart beat. The office staff is always accommodating and flexible regarding appointments. I cannot emphasize enough how this is the right practice for every patient looking for a quality, honest, knowledgeable set of practitioners all under one roof. Thank you to the entire staff for the treatment, kindness and caring you have given to me. ~JoAnn H.
After speaking with Dr. Jeff on the phone and telling him about my past chiropractic care and I decided I had found my new chiropractors. They take so much time each visit educating and explaining to me. I mentioned my cholesterol at 289 about a year ago, he put me on a homeopathic supplement and after a year it is down to 224. I haven’t had to take any prescriptions. I am a person that likes to get to the cause of a problem not just put a band aid on it with medications. Dr. Jeff and Dr. John are great Wellness providers.” ~Pam W.
“I was having severe headaches and neck pains. I had tried massage, but it didn’t help for long. Dr. Jeff took x-rays and showed me where the pain was coming from. Now my neck moves the way it should, my headaches have gone away, I have been able to go back to work, and start kickboxing and horseback riding again. Waccamaw Chiropractic is by far the best in town!” ~Brittany M.
Give our Murrells Inlet chiropractic office a call to schedule an appointment so we can help you and your family.